6 days in, something was missing from the Olympics. For all of the different sports on display I had started to grow tired of watching the same things over and again. Athletics changes things, bringing with it a huge amount of medal opportunities in hugely contrasting events. Kicking off with the Women’s Heptathlon couldn’t have been better either, the time Jessie Ennis ran in the 100m Hurdles would have won the gold medal in the individual event in Beijing. The Olympics are suddenly even more exciting. GB cyclists ride faster than anyone else in the world. If it didn’t become a fact in Beijing, the continual gold medals for British riders in London is sure to make it one. 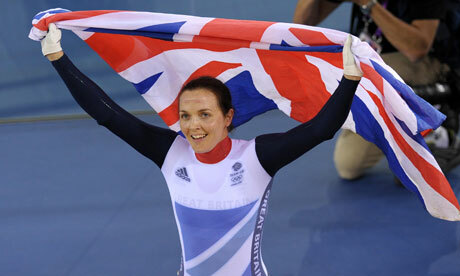 Victoria Pendleton kept things going, coming back from the controversy over her disqualification in the team sprint yesterday, with an incredible ride in the Keiren powering ahead of everyone else to win Gold by a massive margin. Tags: Cycling. Bookmark the permalink.